HydraFacialTM is an innovative and extremely effective method for gentle skin ablation and skin renewal. The result is young looking and radiantly healthy skin. Not only Hollywood stars swear by this revolutionary skin treatment with immediate effect – we at MUGGENTHALER ÄSTHETIK in Basel are also completely convinced by HydraFacialTM. The multifunctional Vortex technology cleanses the skin in depth and enriches it with antioxidants, vitamins and hyaluronic acid through dermal infusion. Additional light therapy and lymph drainage complete the treatment result. The treatment should be repeated monthly so that you can enjoy a permanently improved skin appearance. 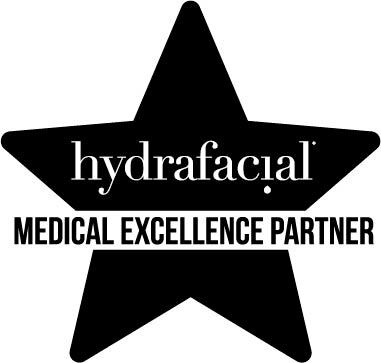 HydraFacial™ is a worldwide recognised procedure with sensational successes. Dead skin cells are removed and healthy, fresh skin appears. This gentle peeling helps to soften deposits in the pores and prepares the deep cleansing. Impurities and dissolved sebum deposits are extracted from the pore structure by a vacuum. Antioxidants, vitamins, minerals and hyaluronic acid are infiltrated into the skin through the Vortex Fused Tip. Subsequently, LED light therapy is applied as required. Red light stimulates collagen production, blue light alleviates inflammation and helps with acne. 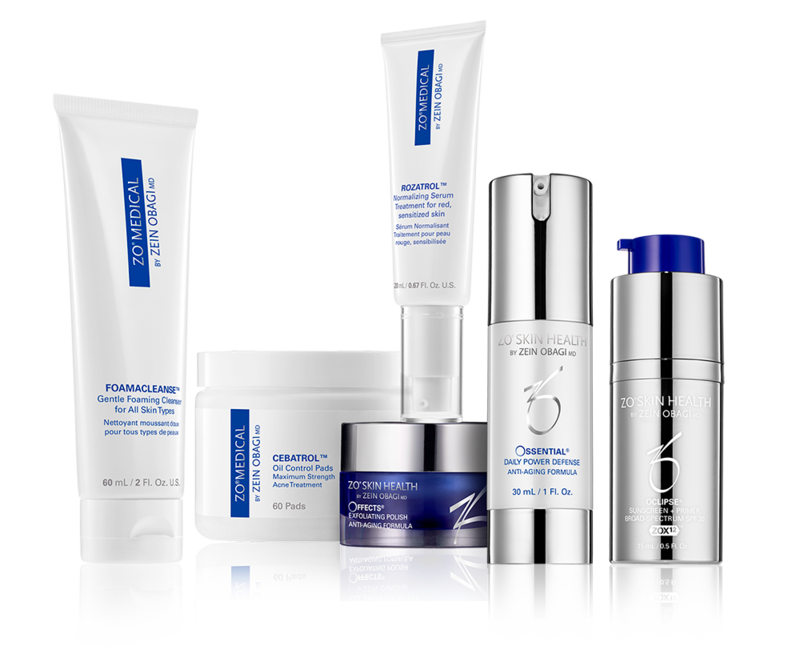 Antioxidants combat the damage caused to the skin by free radicals. At the same time, they ensure optimum hydration and a more even complexion. HydraFacial serums are characterised by an effective combination of various antioxidants that restore a beautiful and healthy complexion. Peptides are the anti-aging heroes in medical skin care and help to reduce the signs of skin aging. 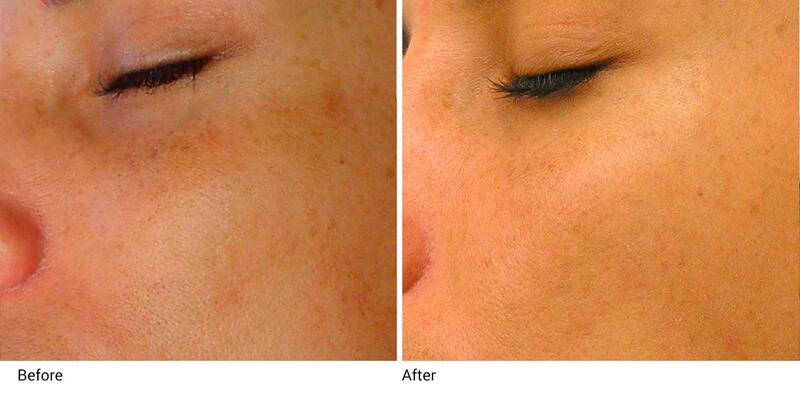 The HydraFacial treatment contains a particularly effective peptide mixture. The patented complexes contain valuable protein building blocks to increase resilience and reduce fine wrinkles. With increasing age the skin discolourations increase. Hyperpigmentation and dark pigmentation spots on the skin occur. The special HydraFacial brighteners Antiox+ and Brightenol help to reduce the irregular formation of melanin and ensure an even skin tone. The foundation of a HydraFacialTM treatment is formed by the different acids. Glycol, Salicylic acid and lactic acid nourish the skin and gently remove dead skin cells. The special acid peeling formulations are suitable for all skin types – especially oily skin. 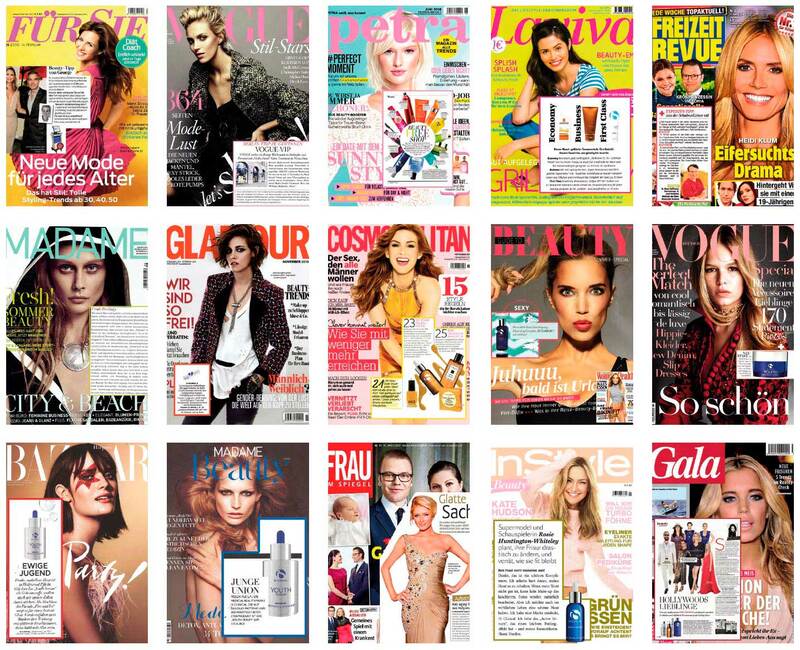 From Hollywood to Basel – HydraFacialTM is one of the most popular beauty treatments worldwide. This is also proven by the numerous positive reports in the most diverse media around the globe. What is special about the HydraFacial™ treatment? For whom is the treatment particularly suitable? The HydraFacialTM treatment is suitable for all skin types and is aimed at all those who want to improve their skin health sustainably. For whom is the treatment not suitable? If there are acute inflammatory skin changes or a very pronounced couperose. With existing hypersensitivity to salicylic acid. Can specific skin problems be treated? Skin that has lost elasticity. No, the treatment is mostly perceived as pleasant. 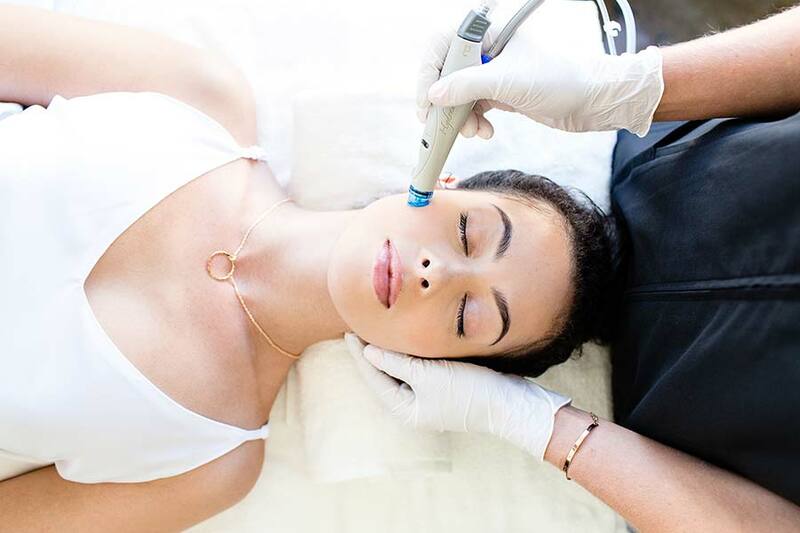 How long does a HydraFacial™ treatment take? When can visible results be expected? You can look forward to visible results immediately after the treatment. The skin feels smooth and firm. After two to three days the skin condition improves further – the skin appears fresher and more radiant. When will I be socially acceptable again? There is no downtime. Immediately after the treatment, slight reddening may occur in places, which will disappear after 1 hour at the latest. At what intervals should the treatment be repeated? Die HydraFacialTM treatment is best repeated monthly. 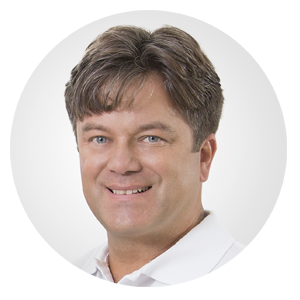 Dr. Frank Muggenthaler answers the most frequently asked questions about HydraFacialTM on this page. Can’t find an answer to your question here? Then get in touch with us! We will answer all your questions, gladly in a personal consultation in our practice in Basel. In order to maintain your skin health after the HydraFacialTM treatment, Dr. Muggenthaler recommends further care with ZO Skin Health products. We are happy to put together an individual skin care programme for you in our practice in Basel.